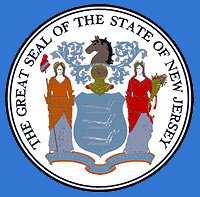 you plan to transport the vehicle to your home state, you must get a temporary New Jersey registration in order to drive the vehicle while in New Jersey or to transfer it outside NJ state lines. Visit a motor vehicle agency to obtain and complete a Vehicle Registration Application (Form BA-49 found only at motor vehicle agencies).for temporary non-resident registration of your vehicle. Identification for yourself as the vehicle owner, i.e. out of state driver’s license or non-driver Identification (ID) card, whichever is applicable. You will be issued a 30-day temporary non-resident registration that cannot be renewed. Temporary registrations are only valid for use in the continental United States.